Poisoned Pen Press, 9781464209796, 378pp. It's autumn of 1881, and Inez Stannert, still the co-owner of Leadville, Colorado's Silver Queen saloon, is settled in San Francisco with her young ward, Antonia Gizzi. Inez has turned her business talents to managing a music store, hoping to eventually become an equal partner in the enterprise with the store's owner, a celebrated local violinist. Inez's carefully constructed life for herself and Antonia threatens to tumble about her ears when the badly beaten body of a young musician washes up on the filthy banks of San Francisco's Mission Creek canal. Inez and Antonia become entangled in the mystery of his death when the musician turns out to have ties to Leadville, ties that threaten to expose Inez's notorious past. And they aren't the only ones searching for answers. Wolter Roeland de Bruijn, "finder of the lost," has also been tasked with ferreting out the perpetrators and dispensing justice in its most final form. Leadville's leading madam Frisco Flo, an unwilling visitor to the city with a Leadville millionaire, is on the hook as well, having injudiciously financed the young musician's journey to San Francisco in the first place. Time grows short as Inez and the others uncover long-hidden secrets and unsettled scores. 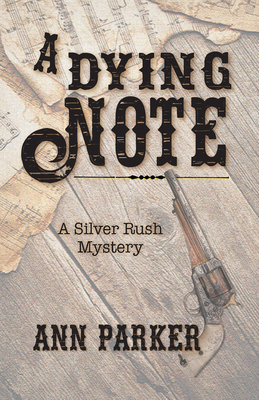 With lives and reputations on the line, the tempo rises until the investigation's final, dying note.